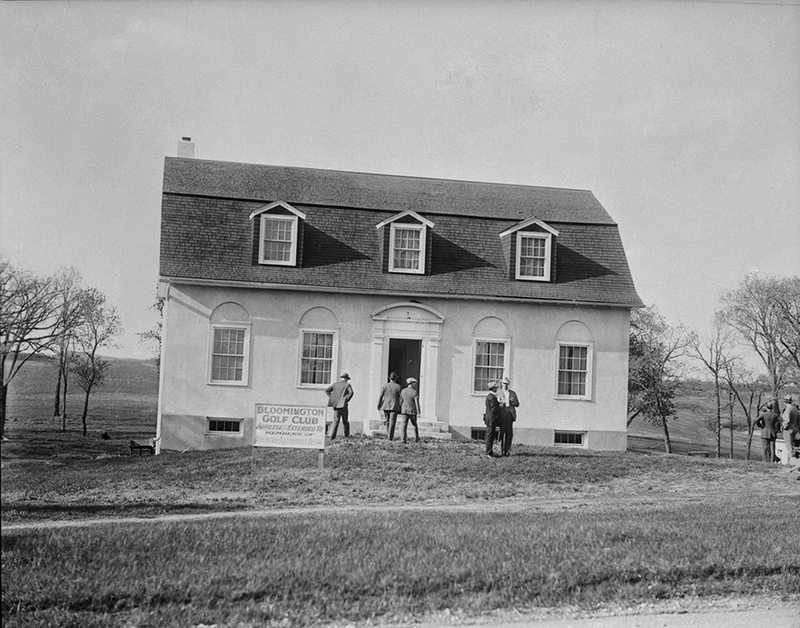 Our history began just across the road on a scenic bluff of the great Minnesota River Valley. In 1911, after searching for the perfect spot, The Automobile Club of Minneapolis built the AAA Auto Club at Bloomington-on-the-Minnesota. 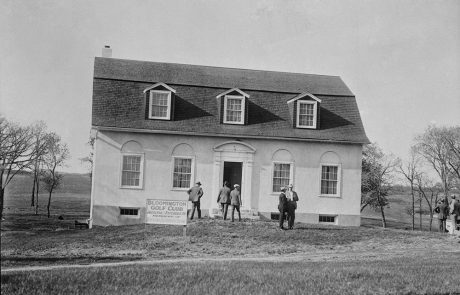 This spectacular “country club”, offered members a pastoral getaway where they could dine, dance, and together, enjoy the sights and sounds of the river that gave the state of Minnesota its name. 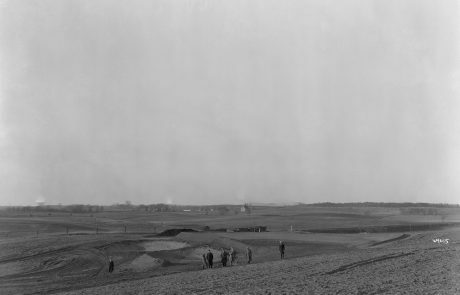 By the early 1920’s, with golf gaining popularity in Minnesota, Auto Club members were eyeing farm land across the road from their country clubhouse to build a golf course. They felt it was an ideal location, far from the hustle and bustle of city life in an area where none existed. 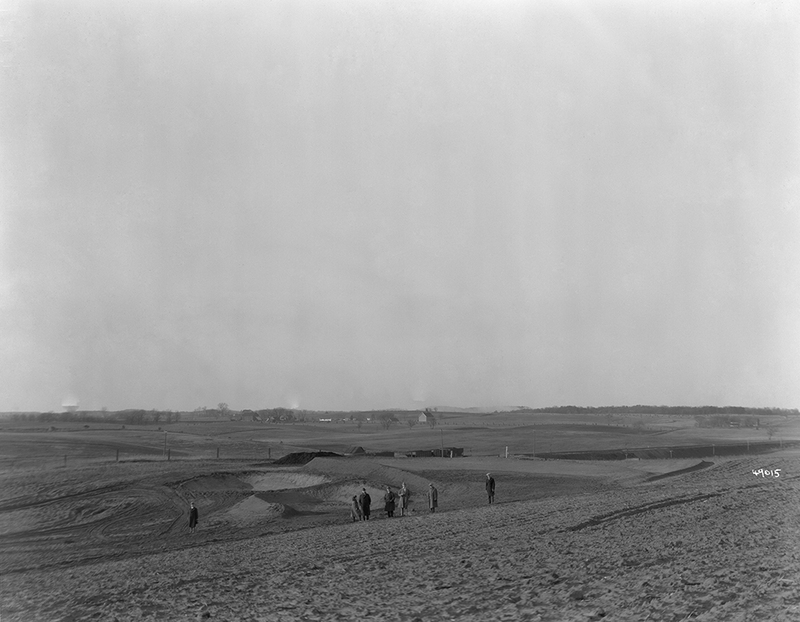 So in 1922, 160 acres of fertile ground to the north was acquired by the Auto Club for a golf course. With some minor enhancements, including a verandah, the large farm barn became the first golf course locker room. A dirt road called Old Bluff Road was all that separated the Auto Club from the golf course. They named the golf course Bloomington Golf Club and erected a sign along the road that stated such name and “ privileges extended to members of American Automobile Association”. Famed Golf Course Architect, Seth Raynor is credited with laying out the classic 18-hole golf course for the Auto Club. Raynor’s endless respect for the best golf holes of Scotland resulted in the duplication of those golf holes on all of the courses he designed, including this one. Former University of Minnesota professor, Ralph Barton, who recently had been hired by Raynor to help him construct his courses, joined Ivar Daly, his son John Daly, and other local crews in constructing the course. The site contouring was done very primitively by horse and scraper. Planting of the greens was contracted out to Barrow’s Grass Nursery, located on the Minnesota River, and completed using plugs of bentgrass. A system of water pipes was installed on the course and by the fall of 1924 all that was needed was good weather for an opening the following year. 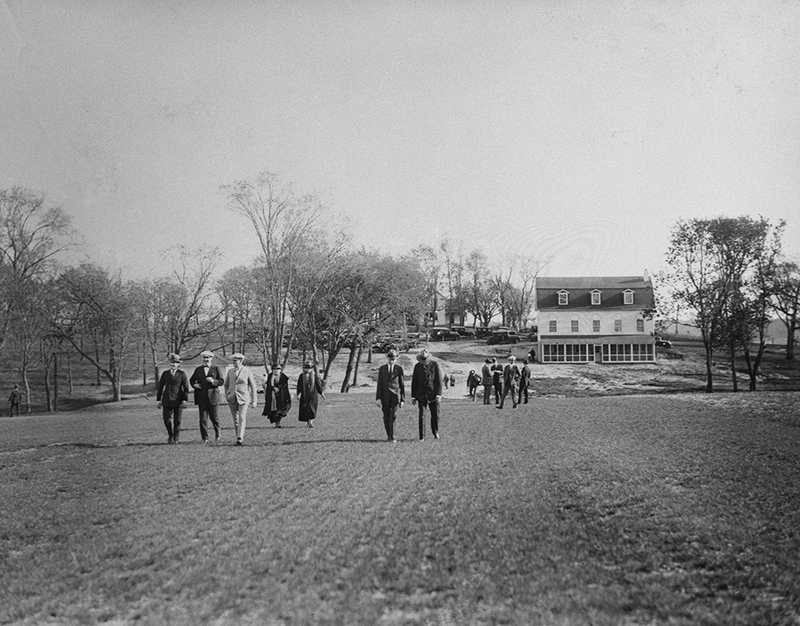 Members were invited to a course warming party in mid-April 1925 for an inspection of the locker room and golf course. 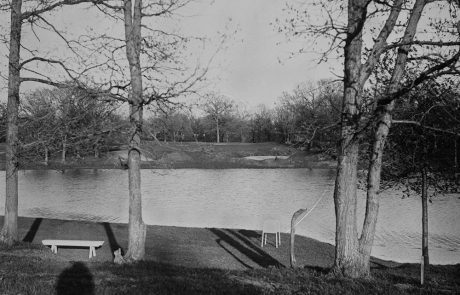 In early May, 1925, the Bloomington Golf Club opened for play. First year members were entitled to ten free rounds annually, with any additional rounds costing fifty cents a game. 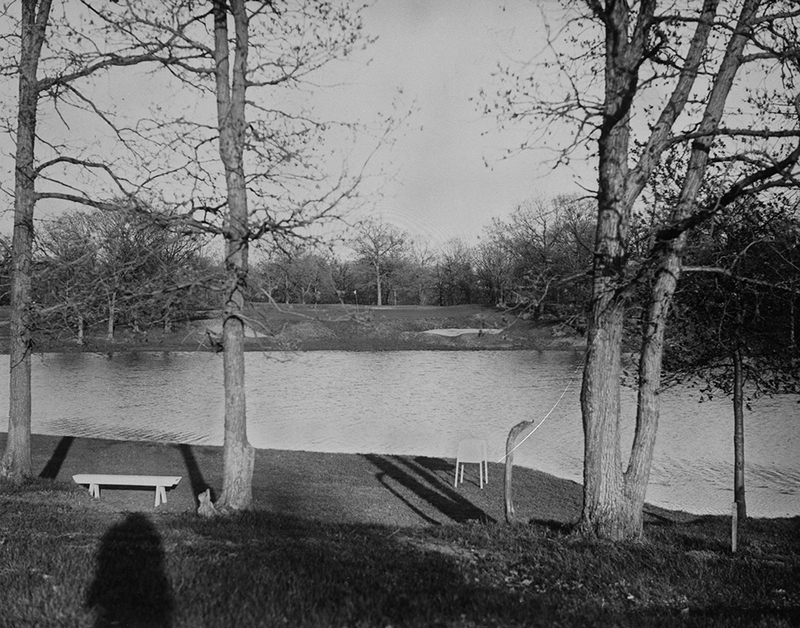 The golf course was reserved for members only on weekends, but allowed the public to play on weekdays. 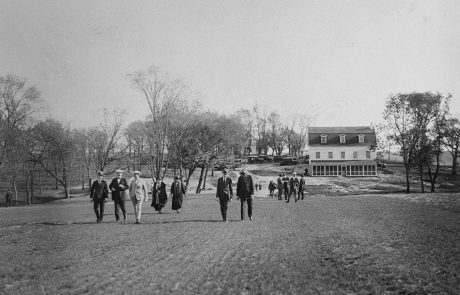 Auto Club members now enjoyed the game of golf on their new course, with fine dining and Jazz Age dancing just across the street in their “country club”. 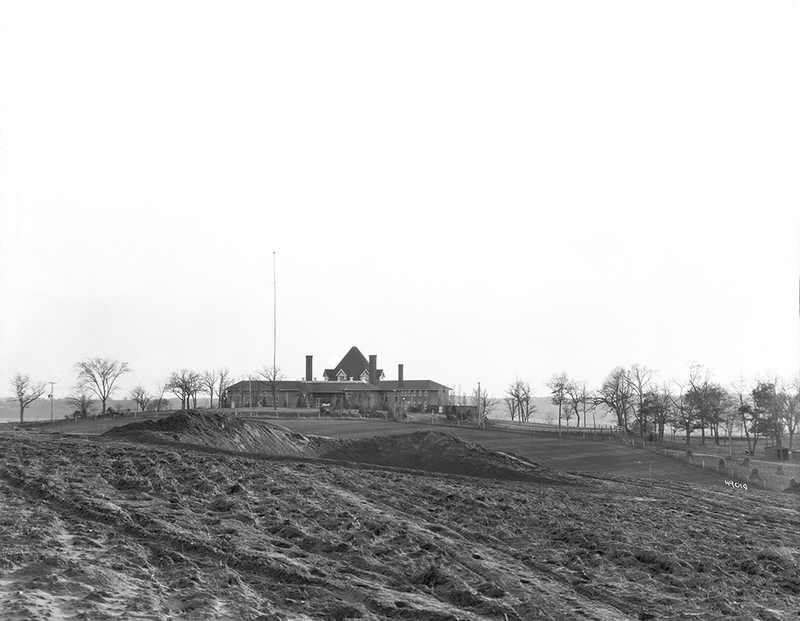 In 1938, seven major stockholders of the club purchased the golf course and buildings for $38,000. 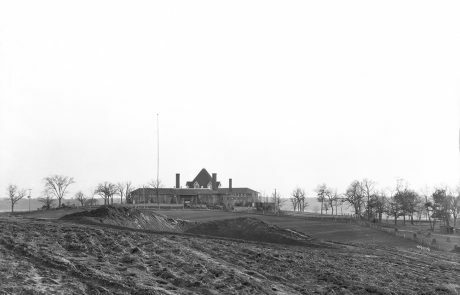 The club was renamed Minnesota Valley Country Club – a completely private club with an emphasis on golf. Over the next fifty years the Club experienced many highs and lows associated with economies and world wars. In 1952, a major three-story addition was made to the original barn lockeroom. Across Old Bluff Road, the original Auto Club would eventually fall on hard times and was demolished in the mid-50’s. 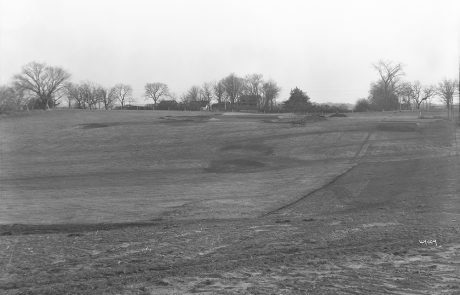 In 1997, after carefully reviewing all options, the Club demolished the original clubhouse and built a new clubhouse further from the road and with sweeping views of the golf course. The Club did an exceptional job of retaining Raynor’s layout over the years. 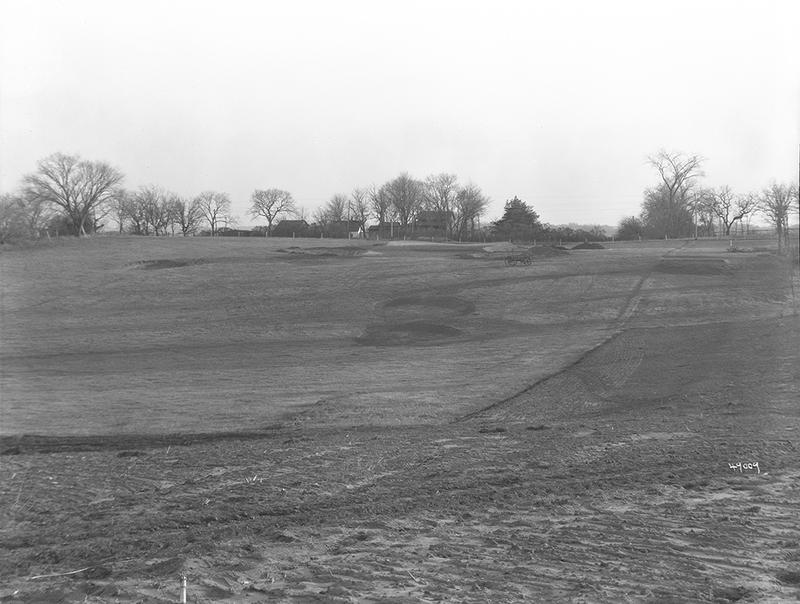 And in 2017, the Club hired Golf Course Architect, Bill Bergin, to complete a Master Plan for the Golf Course, with a strong emphasis on highlighting the fine work of Seth Raynor. Today’s layout remains the same as it was on opening day in 1925. Bill Bergin’s renovation in 2018 solidified the golf course’s mechanical integrity while honoring its Seth Raynor roots to further enhance its position, not only as one of the premier clubs in Minnesota, but also as one of the premier golf courses in the country. Minnesota Valley Country Club is a proud and historic club, boasting a long tradition of excellence and enjoyment for its members.